Codifying something that has been handed down through generations is like finding and honoring a lost language. But my tribe is food makers and food lovers. As the former Director of The Armory Center for the Arts in Pasadena my greatest joy was in finding connection between the arts and community. Another enduring influence was time living in the Philippines and Malaysia during my father's tour as a Peace Corps country director. My time overseas fortified my natural bent toward exploration and desire to know more. It reduced by own culture's importance to one of many options - to live, celebrate, and of course eat. I learned the joy of the long wander through cities and towns, most memorably the markets. It was only later that I realized my near compulsion to stop, sniff, taste and ask - what is this, what is it for, how do you use it could be described as Urban Foraging. My love of history, culture, food has found its convergence in the Los Angeles' burgeoning food culture jumpstarted and sustained by varied patterns of immigration. I am now more at home than I ever was...one of many in a sea of possibility. 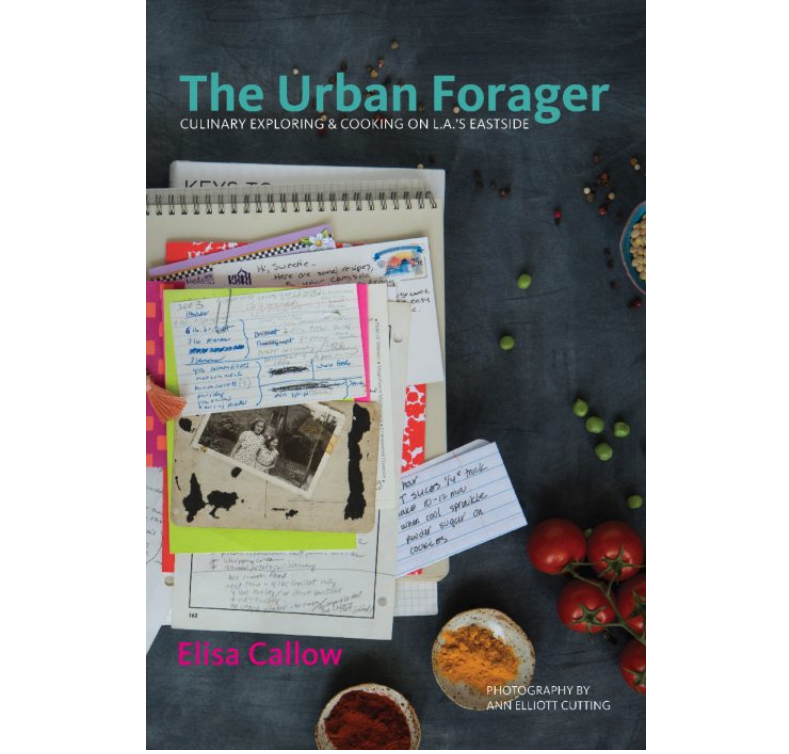 Your friendly neighborhood Urban Forager, Elisa Callow. Photo by Ann Cutting.